What’s better than giving one of our sweet holiday gift baskets to a friend this year? We’re convinced not much is better than that – except for making them something sweet to enjoy with a hot cup of cocoa! This recipe for Orange & Cranberry Pinwheels – which was adapted from Baked by Rachel’s original recipe – are sure to warm your friend’s heart and keep their tummies full this holiday season. Start by combining your 1-cup of cranberries, your 1 cup of light brown sugar, and your (optional) pecans into a food processor. Blend these ingredients until they are a chunky paste and look like small pieces. Then, put this mixture into the refrigerator until it’s needed later on in the recipe. Next, combine your butter and granulated sugar into a stand mixer or a large bowl. Cream your butter and sugar together – whether it’s with a stand mixer on the paddle or with a hand mixer – until the ingredients are fully combined. Next, add your salt, eggs, orange zest, and baking powder until all of those ingredients are combined. Then slowly add in your flour until the entire batter is mixed well. Place into the refrigerator for 30 minutes to an hour to chill. Once your dough is chilled, cut your dough in half. Make sure you cover your countertop in flour to prevent the dough from sticking, and roll with a rolling pin until the dough is a large rectangle. Once the dough is about a quarter of an inch thick, you can put your cranberry filling on top of it – leaving about a half an inch around the corners for bumper room. Next, you’ll start rolling your dough from the short ends. Once the dough is in a log form, wrap it tightly in a piece of parchment paper, sealing the ends like hard candy. Refrigerator over night. Preheat your over to 375 degrees. Slice the dough log in quarter inch pieces, and place them on a baking sheet in the oven for about 8-11 minutes. Want to see the rest of our holiday gift baskets? Visit us today at BisketBaskets.com! 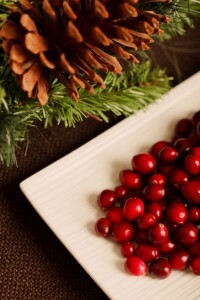 Looking for a deliciously simple treat to serve this holiday season? 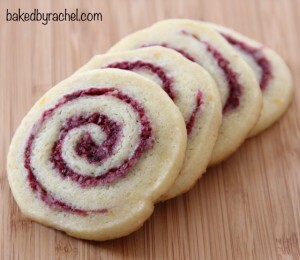 Check out this recipe for Cranberry-Orange Pinwheel Cookies, as adapted by BakedByRachel.com. First, add your cranberries, half of your orange zest, and walnut to a food processor. Mix these ingredients until they are well-blended, or small pieces of the ingredients are left. Chill in the refrigerator until needed. In your mixer, cream your butter, brown and white sugar, and vanilla together. Once they are blended, add your baking powder, the other half of your orange zest, salt, and eggs. Once your mixture is fully combined, start adding in the flour. Only add the flour in a little at a time at a medium speed. Once the dry and wet ingredients are combined, chill the dough mixture for an hour. When the dough is chilled for an hour, separate the dough into two sections. Roll out each half of the dough on wax paper, until each section is about ¼ inch thick. Spread half of the cranberry mixture on each section of the dough. Once the filling is spread across the dough sections, start rolling the dough from the short ends of the rectangle. Guide the roll with the wax paper, and once complete, seal the ends with tape and place the log in the refrigerator to sit overnight. When you’re ready to bake the cookies, preheat your oven to 375 degrees. Start by cutting each log into ¼ inch slices. Place on a baking sheet covered in wax or parchment paper, and bake for 8-10 minutes or until lightly gold. Want to see what kind of goodies you can give your loved ones during the holidays in our meal gift baskets? Visit us today at BisketBaskets.com! We understand what it’s like to have an abundance of leftovers the day after Thanksgiving. With the turkey, stuffing, and other sides, it’s almost like you can’t get away from the holiday no matter how hard you try! However, we have a secret to using those leftover turkey pieces and making it into Friday magic, or as we like to call it – Turkey Chili. Here’s the recipe for a great Thanksgiving leftover dish! Start by heating a large sauce pot with your 2 tablespoons of olive oil. Once the oil is heated, add your white onion, and cook them until they are tender. Next, add your minced garlic to the pot until that is tender as well. Next, add your chili powder, cumin, salt, and pepper to the vegetables, and stir until they have made a paste. Adding your spices before your liquid will help to grab any extra flavor that the oil has left on the pot and ensure that it sticks throughout your chili. 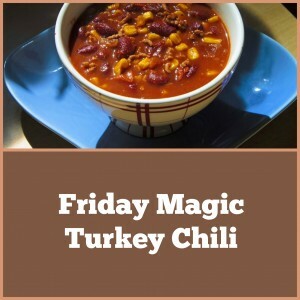 After you’ve added your spices, you can add in your can of crushed tomatoes, water or chicken broth, and beans. Let the mixture simmer for around an hour, partially covered, on low to medium heat. Enjoy over a bowl of leftover mashed potatoes or rice for a heartier meal! Want to see how we can help you gift someone a meal for a night? Check out our meal gift baskets – only at BisketBaskets.com! Wow Your Hostess with These Memorial Day Recipes! Directions: In a large bowl, combine pretzels, sugar, and melted butter. Mix well and press into the bottom and sides of a pie pan. Set aside. In another large bowl, combine condensed milk, lime juice, tequila, and orange liqueur. Add strawberries. Fold in the whipped cream. Then, pour the filling into the crust and freeze overnight. Serve. Directions: Preheat oven to 350 degrees. In a bowl, mix together brown sugar, butter, egg, buttermilk, and 1 tsp. root beer extract. Add flour, baking soda, and salt and mix well. Drop teaspoon sized pieces of dough on greased cookie sheets. Bake for 6 to 8 minutes. To make the glaze, mix confectioner’s sugar, root beer extract, and hot water. Brush on top of cookies. Serve. Directions: Mix together oil and butter. Stir in lemon juice, mustard, basil, garlic, salt and pepper. Add shrimp and toss to coat. Cover and refrigerate for 1 hour. Remove shrimp from marinade and grill until done. Serve. If you’re really in a crunch for time, you can also gift a hostess at a backyard get together with one of the Memorial Day Gift Baskets from BisketBaskets.com. Not only are these gift baskets thoughtful and beautiful, but they’re also the perfect way to say thank you for hosting the party. This posts marks the start of a regular feature on our blog: Our Favorite Recipes! We’re contacting some of our favorite food bloggers and asking them for a recipe to highlight on our blog. We recently had the pleasure of meeting Michele from the Cooking With Michele blog. Michele resides in the wonderful state of Colorado as well, in Denver to be exact, and has been cooking since age 5 in her Easy Bake Oven! Since then, she’s been a part of 10 different cooking schools, and is quite the talented chef. 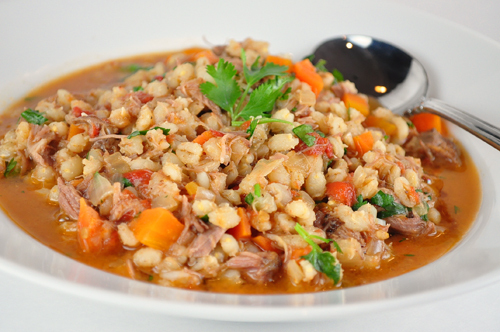 She selected her Lamb and Barley Stew recipe to share with our readers! You can view the Lamb and Barley Stew recipe in its entirety, and it’s definitely BisketBaskets approved! It looks absolutely delectable, and you can assured we’ll be trying it out in our own kitchens soon, too. Let us know how you liked it, and be sure to try Michele’s other delicious recipes!